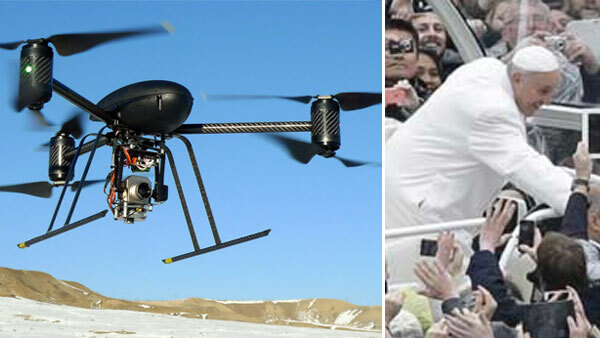 PHILADELPHIA -- Philadelphia will be a no-drone zone when Pope Francis is in town. The FAA says Wednesday it's banning the unmanned aircraft from city airspace during the Sept. 26-27 visit. An agency advisory says model airplanes, gliders and hot air balloons are also being barred, along with planes towing advertising banners. Don't think about parachuting in or flying a crop duster, either. Law enforcement, first responders and the news media are required to apply for airspace clearance at least a week before Francis arrives. The Department of Homeland Security requested the restrictions. The FAA says they're designed to ensure safety while providing as much airspace access as possible. The agency says the restrictions could change with little or no notice.